Who are you? We are The Dreamland Trust. Can you tell me about the work and role of The Dreamland Trust? The Dreamland Trust’s role is to conserve and tell people about Dreamland’s rich heritage and her heritage assets; The Grade II* listed Scenic Railway – the oldest roller coaster in the UK, the Grade II* listed cinema building – the forerunner of Britain’s Super Cinemas and circus impresario, ‘Lord’ George Sanger‘s Grade II* listed menagerie cages – the last type of their kind in the world, and to bring Dreamland back into use as a major visitor attraction for Kent. How / Why did the Dreamland Trust first form? The Save Dreamland Campaign started in 2003 to keep Dreamland as an amusement park and particularly to safeguard the Scenic Railway. The Dreamland Trust grew out of the campaign and is made up of board of volunteer directors with expertise in the amusement park planning, tourism, running visitor attractions, historic cinemas and theatres, architecture and cultural development. 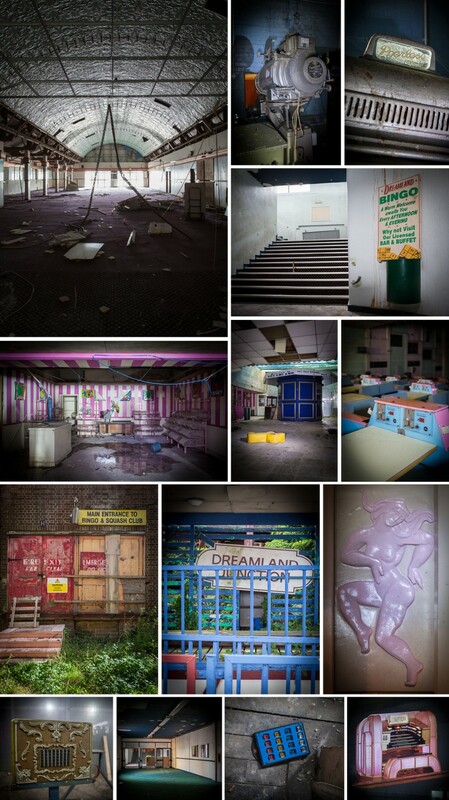 The Dreamland Trust was instrumental in securing over £10m funding to bring Dreamland back into use. Whilst collating archive material for the Dreamland what interesting stories have you discovered about Dreamland & Margate? There are so many extraordinary stories in the archive!! Our favorites include Sanger exercising his lions on Margate sands, proposals of marriage, hot dates, first kisses, lost hats, missing false teeth, teddy boys on the dodgems, celebrities in the park. What unusual / interesting features are still intact on site? Where to begin?! There far too many to mention here, but one example is Sculptor, Eric Aumonier‘s relief statues in the Dreamland cinema building. Eric also created the 1940 ‘Archer’ statue outside East Finchley Underground station, London and the statues on the escalator in Powell and Pressburger’s 1946 film, A Matter of Life and Death, staring David Niven. Coincidentally Powell and Pressburger’s film production company was called The Archers. And one final point of interest is that Michael Powell’s wife, Thelma Schoonmaker, is Martin Scorsese’s editor! Why is the scenic railway so important? The Scenic Railway is of national and historic significance being the oldest roller coaster in the UK and the only listed ride in the country. It last operated in 2006 carrying over 600,000 passengers in just thirteen weeks. Unlike white knuckle rides, the Scenic Railway is a thrill ride operated manually by a brakeman, which means every ride feels different. Comparing a thrill ride to a white knuckle ride is a bit like comparing roast potatoes to chips! The ride is approximately 25% damaged after an arson attack in 2008. The Heritage Lottery Fund has invested in the ride’s full restoration, a new railway station and cars. She will be ready to ride again in 2015. What is the most recent ride / showpiece acquired for Dreamland? Ah, we are finalising a deal to bring back, due to popular demand, two iconic rides from the Bembom era, but we can’t reveal which ones just yet! What do you think Hemingway design team can bring to Dreamland? The new Dreamland is a hybrid of popular culture and heritage – it will be the world’s first amusement park of thrilling historic rides capable of hosting large scale festivals, national events and visiting attractions. We researched amusement park designers, museum designers, designers of heritage visitor attractions, but we needed a multi-faceted design. The award winning Hemingway team ticked all of those boxes and more and they are great fun to work with! Dreamland has a very special place in people’s hearts not just locally, why do you think that is? Dreamland is a place where the wonderful and the unexpected can happen. It is a place to escape to; full of thrills, fun and anticipation and in an environment like that your senses are heightened and the endorphins are rushing. It’s a place embedded in peoples’ hearts and minds where memories are made. What does the immediate future for the Dreamland site hold? Our project partner, Thanet District Council, is now carrying out site surveys, after which we can finalise and sign off the park layout and plans. The branding work is almost complete and briefs to tender for the Scenic Railway restoration and construction work will be released before the end of the year. The Dreamland Trust is currently in discussion with potential park managers and operating companies and plan to open a Visitor and Learning Centre next spring. How would you like to see the park develop in the future? We are opening Phase One in 2015 and will be developing the next phases toward the master plan. In 1919 John Henry Isles began a 15 year long journey developing ‘Lord’ George Sanger’s Hall by the Sea amusement park, pleasure gardens and entertainment venue into the amusement park we knew and loved…. Dreamland wasn’t built in a day! Do you have any special events coming up? 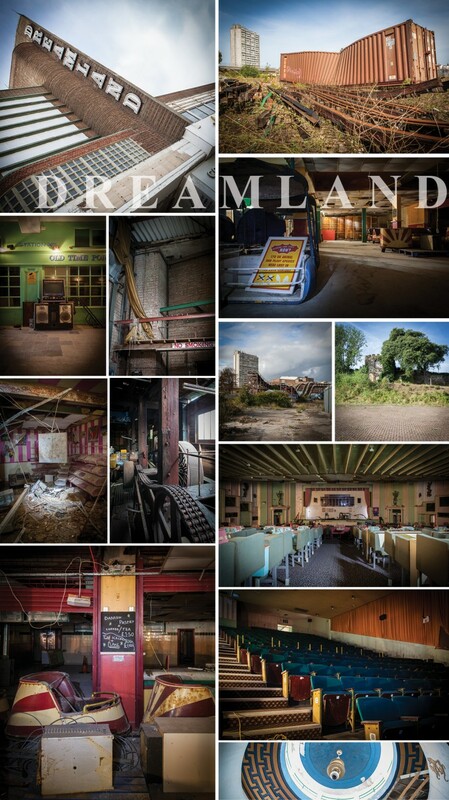 We are opening the gates to Dreamland Mid-day on Saturday 16 November 2013 – this will be the first time the public will have access since its closure in 2006. This is a hugely symbolic moment as the people take back their park and we’ll be signing up volunteers for the Big Clear Day. Then in the evening we are holding a charity art auction in the disused cinema building of works by Tracey Emin, Vic Reeves, Billy Childish, Leigh Mulley and Arnold Swartzman to name but a few. All funds go toward opening the Visitor and Learning Centre next spring. Great piece Jo. This is Kiki, editor of Isle magazine.